I feel like I won the attorney lottery with Michelle. Not only is she the voice of reason but also my voice in speaking up for me. Michelle represented me in the most professional and ethical way. I am extremely happy with the outcome, both financially and emotionally. Michelle helped me negotiate a favorable settlement and saved me a lot of money and trouble. My experience with Michelle couldn't have been better. When I reached out to her she was prompt in personally returning my call and from then on was extremely knowledgeable, professional and helpful. I feel I can trust her and I definitely highly recommend her! Michelle was very easy to work with and ultimately got me a great severance. She was totally honest with me, and I always knew where I stood and what our strategy was. I could tell she really cared about the discrimination I was facing. Dealing with my employer wasn't easy, but my attorney helped me through the process." My experience with Michelle, was outstanding. To start - I sent out email inquiries to several highly rated attorney's including Michelle on Sunday afternoon, having zero expectations that I would hear back from anyone until sometime Monday or Tuesday. My assumption proved accurate, every attorney I reached out to returned my call between Monday afternoon and Thursday morning, all but Michelle that is. Michelle called me from on Sunday afternoon within an hour. After discussing the details of my case Michelle - expressed confidence in being able to assist me in resolving my situation in both positive and efficient manner. Her retainer though not "cheap" seemed very reasonable for the work to be performed; I chose to immediately retain her services. By Tuesday morning Michelle had completed and served my former employer with our legal response. The letter's eloquent composition along with its firm legal references allowed us to negotiate the exact settlement offer I hoped for by Friday. Overall I would highly recommend Michelle to anyone!" There are times when you need support in your corner from an expert that has such knowledge, thereby giving them the ability to be nice and/or tough when needed. This knowledge and ability to recognize the different levels of necessity, based on the situation, can and did save my company a lot of money. Michelle's knowledge and ability made a potential $40,000 dollar issue turn into less than a $4,000 dollar issue. "Your knowledge, expertise and research has proven again why I am glad to have someone with your knowledge to hire!" 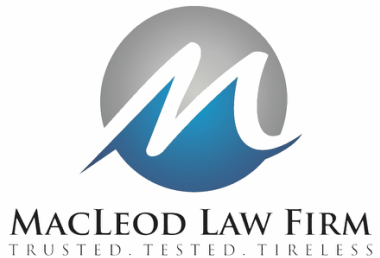 Michelle MacLeod is our go-to outside counsel for labor and employment matters. Her knowledge of the law and confidence in handling complex employment issues consistently results in reaching a successful resolution quickly, thereby allowing us to focus our attention where it is needed most – growing our business. She approaches client relationships as a partnership. I always can depend on her to keep us abreast of the latest developments in the law and respect our budgets. I highly recommend her to in-house counsel for dispute resolution and risk management of all labor and employment matters.